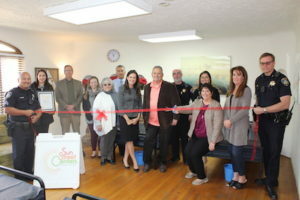 Sun Street Centers, in partnership with Monterey County Behavioral Health, announced the opening of a sobering center in downtown Salinas. The first of its kind in the county, the 10-bed facility will serve men and women who are DUI offenders or individuals who are publicly intoxicated with a measurable blood alcohol content. There, men and women can safely recover from intoxication under the supervision of trained facility staff. Participants will be referred strictly by law enforcement. “This type of intervention shifts the emphasis away from treating public intoxication as a criminal offense towards a diversion model, this improves care and health outcomes for individuals, while relieving cost to the local criminal justice system and hospitals,” says Eddie Hathcock, Manager of the Sobering Center. This Sobering Center is made possible by the partnership between Sun Street Centers and Monterey County Behavioral Health, with additional support and guidance from the Monterey County Sheriff’s Department, and funded by a Proposition 47 grant.